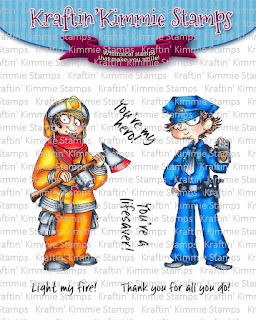 Welcome to Day THREE of the February Krafty Peeks it Kraftin' Kimmie Stamps! When I saw this Image I totally lost my mind! I'm married to a police officer and I was just way too excited to see this little smiling dude! I colored him up in traditional Police Midnight Blue with my comics... I set him on a map and laid out his crib scene investigations for him. Inside I used wash with Doughnuts and a Coffee clip from Doodlebug to top it all off! fantastic work and love your edit comment lol ... made me smile! Jammie...so awesome!!! 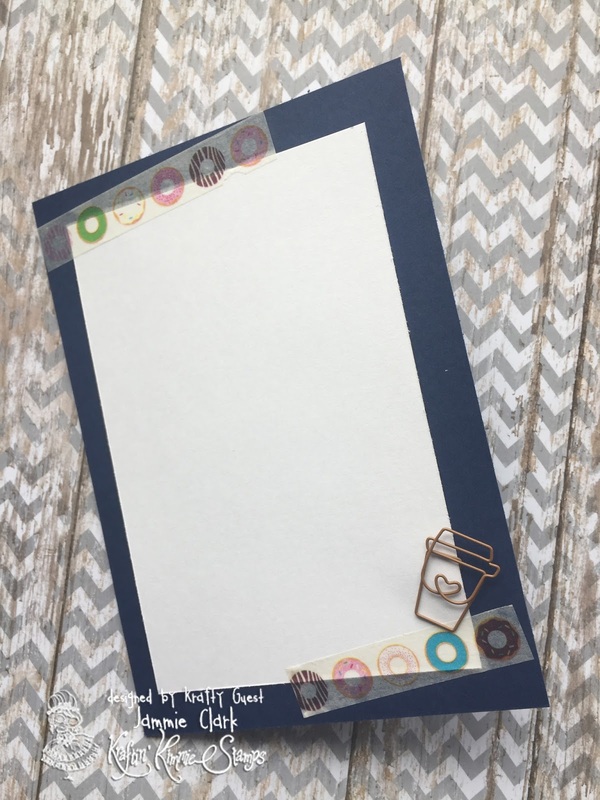 Love the paper you used in the background. Love the design with the little tags! 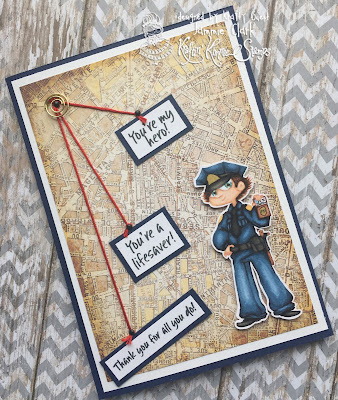 Love the way the inside of the card is done, really compliments the great job on the outside!